Are you a Corporate Social Investor (CSI)? Do you want to explore opportunities to scale your impact by engaging corporate employees in your activities? Do you want to know what opportunities you have to get involved? 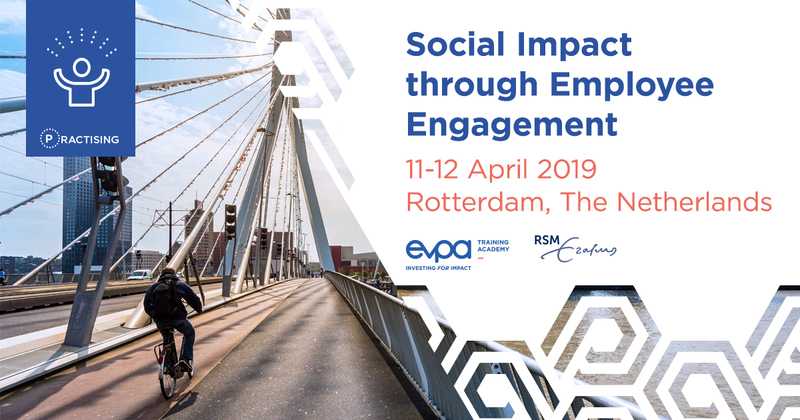 EVPA and Rotterdam School of Management have created the Social Impact through Employee Engagement training, a brand new course to support your design and implement your employee engagement activities to generate social impact. As a CSI, engaging employees is an excellent opportunity to provide valuable financial and non-financial support to social purpose organisations (SPOs) and scale social impact. The course takes place in Rotterdam, The Netherlands, on 11 and 12 April 2019. …then Social Impact through Employee Engagement Training is the course for you!